If you choose one of Breasley's king size mattresses, you can be assured that you are buying one of the most prestigious memory foam mattresses on the market. 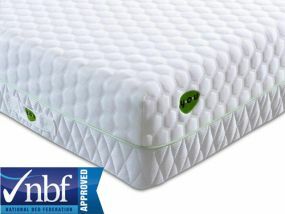 These mattresses only use the highest grade, hypoallergenic memory foam which means that you will not overheat whilst using the mattress and you will get the best night's sleep possible. 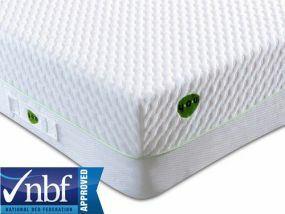 Breasley king size mattresses are produced with the benefit of the brand's decades worth of mattress engineering and know how, so when you buy a Breasley mattress from Bedz 'R' Us, you know that you're getting a quality product. Whether you prefer a pocket-sprung mattress for ultimate comfort, a no-turn mattress for easy care, or even a pressure-relieving mattress, Breasley's range includes a king-size mattress to suit everyone. 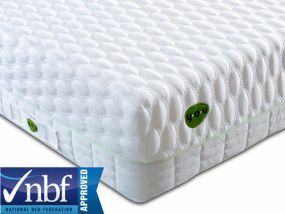 We offer free delivery on all of our Breasley mattress purchases, as well as next day or named delivery.